1) German arms shipments to Ireland date back at least to April 1914—to the Ulster Volunteer Force; unionists, not nationalists. 2) A much smaller German arms purchase by Irish nationalists, co-led by Erskine Childers a month later for maximum publicity, resulted in a bloody a crackdown by a British regiment. 3)Yes, that Erskine Childers, author of the early spy novel The Riddle of the Sands. 4) The Irish tradition of secret societies and volunteer groups long predates the alphabet soup of organizations that became familiar during the sectarian Troubles that began in 1969. 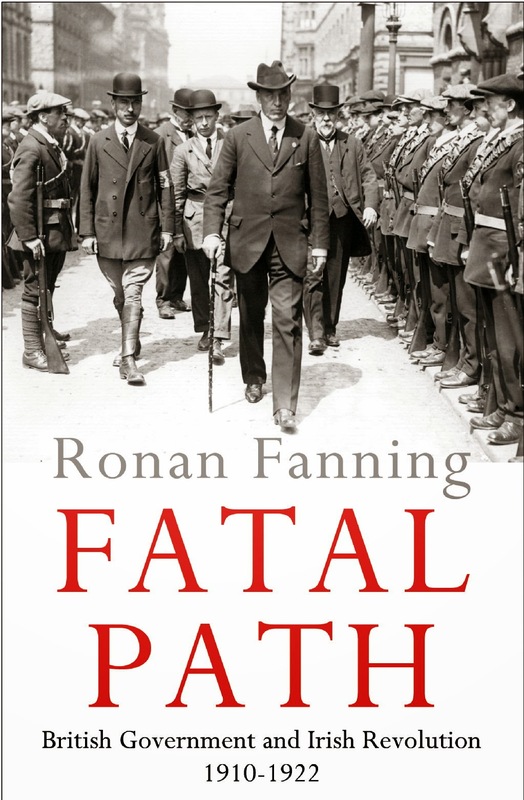 5) That "The IRA’s initial focus in what is known either as the ‘War of Independence’ or the ‘Anglo-Irish War’ of 1919–21 was the ostracisation of the police." Thanks for this series. I read a pretty good book a couple of years ago for an overview of Irish history, and intended to get into some more recent detail. Your series here has piqued my interest, and I'm taking notes. Indeed, the best fiction (crime fiction) included allows readers to experience vicariously contexts that the readers would otherwise never experience in any way. And understanding the contexts -- through reading about history -- is often indispensable to appreciation of fiction. Yes, New Critic dinosaurs would say I'm full of ***t, but they would be wrong -- at least on the issue of contexts and history (although the accusations might be valid given some of my other POVs regarding literature). Dana, what was the title of the took you read? In addition to the reading, you should visit the country. R.T., if those old New Critics would say such a thing, then **** 'em is all the reply they deserve. I don't know if reading history is dispensable to appreciation of Irish crime fiction. I would say appreciation of one reinforces that of the other.